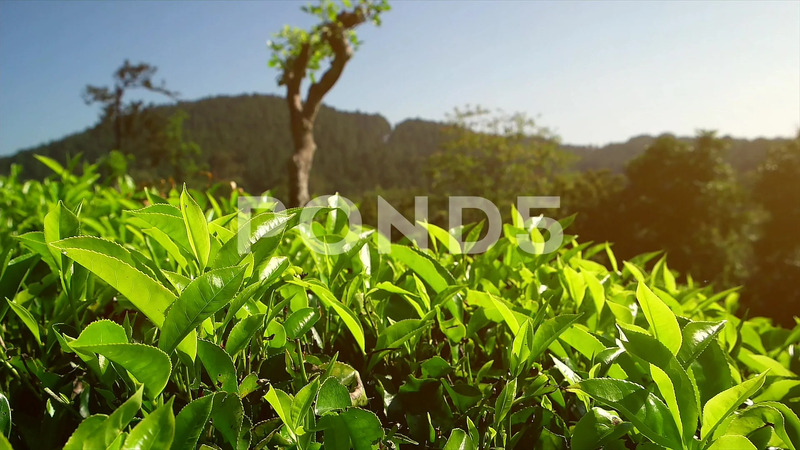 Description: Tea plantation close up in warm sunlight. Flickering effect. Sri Lanka 2016. Slow motion panning.